The Amazing Race is a reality tv show that began airing on CBS in 2001. In a normal season, eleven or twelve teams of 2 people with a preexisting relationship race around the world to try and win a million dollars. Each episode encapsulates one leg of the race in which teams must figure out clues and perform specific tasks before they reach a mandatory pit stop where they are able to rest for a set amount of time before the next leg begins. The last team to arrive at the pit stop is eliminated from the game, or spared to race another day with a penalty in the case of a non-elimination leg. Each race takes about a month to run, meaning that the teams not only have to deal with extreme jet lag, language barriers, culture shock, each other, and the other teams, they must also have the stamina to keep going for weeks on end without much of a break. As the years have gone on, several additions have been made to the game to make it "more interesting" in the form of the U-turn, Express Pass, Speed Bumps, and various other penalties they've tried out to varying success. In some of the seasons, they would take away all of the money, or even belongings of the team that came in last during a non-elimination leg, causing quite awkward and tacky interactions for the teams as they had to beg for money in poor countries. The U-turn, which allows a team to force another team behind them to complete both sides of a detour task, is my least favorite staple of the show now, as so much emphasis is placed on it and it cheapens the game in my opinion. 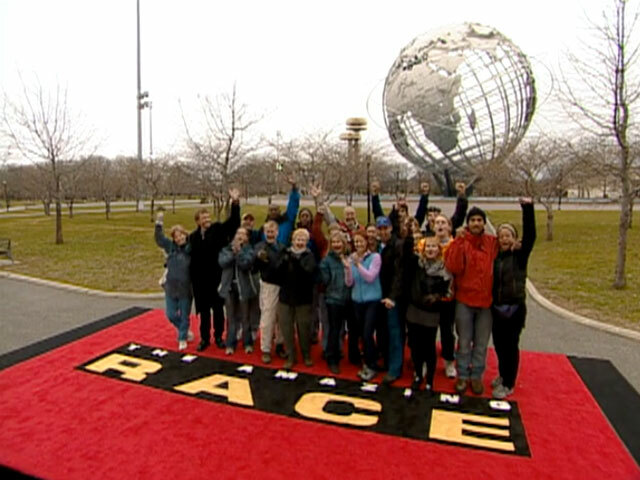 The Amazing Race was different from other reality competitions as there was no scheming or manipulation going on, the teams were just running their own races and were rewarded if they did well. I also miss having a Fast Forward available in every leg because it was really useful to switch up the game and allow the standings to change from leg to leg. I've been watching The Amazing Race every season from the beginning and can honestly say that while there have been some standouts throughout the years, none will ever be able to surpass the greatness that was the very first season. Sure it was unpolished and rough around the edges, but that was part of the charm that drew me into the show in the first place. The casting for the first season was great and no one knew what they were getting themselves into - not even the production crew - so everything seemed so much more real and, for lack of a better word, amazing. I still enjoy watching the show, but I feel that it hasn't been able to convey the grand worldwide scale of the competition in a long time. The teams still travel the globe, but a lot of the tasks they are asked to perform don't seem very particular to the country they are in other than the ridiculous stereotypical costumes they make them dress in. I miss the days of detours and pit stops being housed at famous landmarks, or at least ones that have a history behind them, and I miss the mile long run to the finish line at the end of the race. The races nowadays don't seem to be building up to anything at the end, as it comes down to a cab race and who can run across the small field in the middle of nowhere USA to the final mat. It's the end of a long, hard race for a million dollars, it should just be...more. Poor leg planning is my main gripe with the show in later seasons, as many legs within a single season are designed so there is little to no room for teams to mess up and change positions other than the tasks. Gone are the days of Paul and Amie driving around the Sahara Desert lost for hours, everyone getting lost on the way to the Pit Stop in India and having no idea what place they were in, or the Guidos being stuck in Alaska when the other teams were finishing the race in New York. Some of the legs in early seasons spanned days and included multiple countries, but now it seems that most are completed in just a few hours, with the first teams checking into the next pit stop before the last teams even start. I'm sure it's easier from a logistical point of view for the production team, but it's all become too paint by numbers (take a taxi a few miles, do a Detour, do a Roadblock, walk to the Pit Stop) for my taste. The Amazing Race is still one of the best reality tv competitions out there, even though it is well past 20 seasons. Each season is completely different, so even if one season leaves you disappointed, the next one could be really great. There have been several All Stars seasons throughout the years, an ill-conceived Family edition, a blind-date season, and a season full of social media stars to try and bring in better ratings, but it's generally the normal seasons full of regular people as contestants that are the most enjoyable. With so many seasons, it's hard for one to stand out nowadays, but those early ones are so nostalgic and memorable. Episode Season 1 finale part 2, I'm Not a Miner! No, You're An Idiot! part 1, What Happens If I Slip? Am I Just Hanging Off a Cliff?, Season 9 finale part 1 The Race Begins, Race to the Finish Part 2, What Happens If I Slip? Am I Just Hanging Off a Cliff?